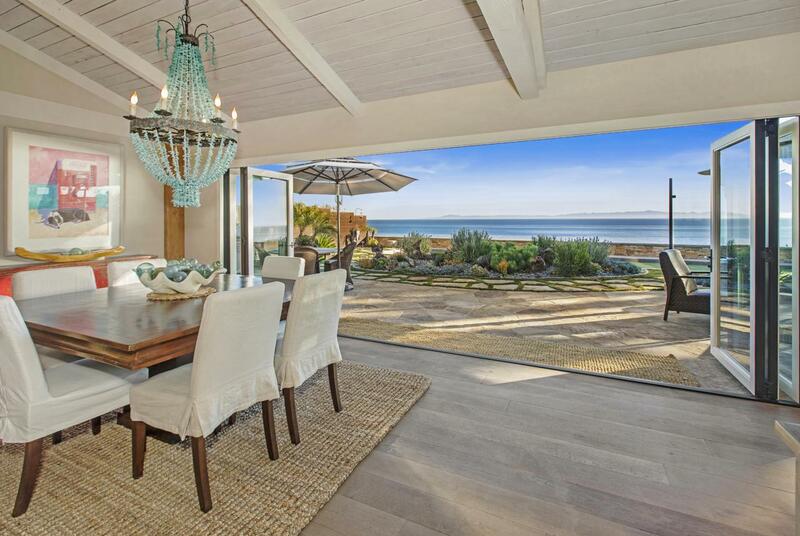 This stunning Mesa beachfront home, with panoramic ocean views, has an open great room floor plan for the indoor/outdoor lifestyle. 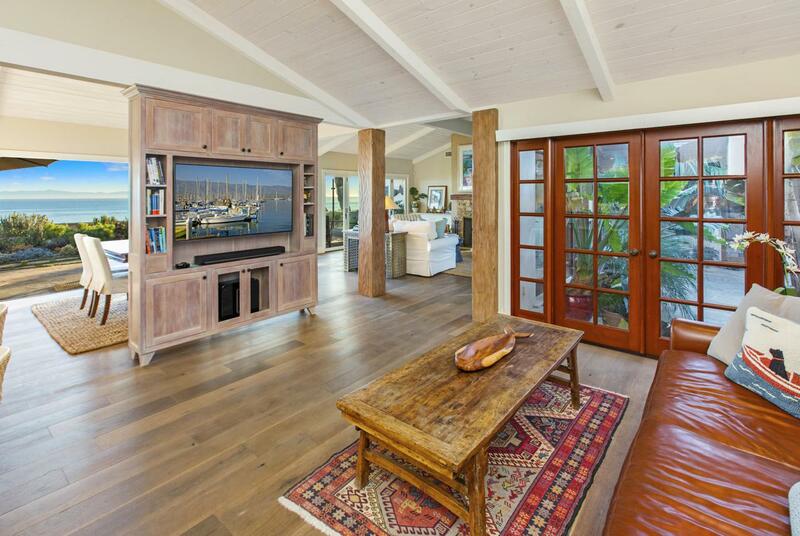 The custom La Cantina doors open the entire rear of the home showcasing the ocean views. There are 4 bedroom and 2.5 baths. The beautifully redone kitchen has granite counter tops, breakfast bar, stainless steel appliances, Viking range and breakfast nook with ocean views. There are gorgeous wide plank German Oak floors throughout the home. Vaulted white wood ceilings in almost every room. Rear yard has Cherokee flagstone patios, pool, a curved glass wall for wind protection, and a bocce ball court. The front courtyard creates real privacy for this home. 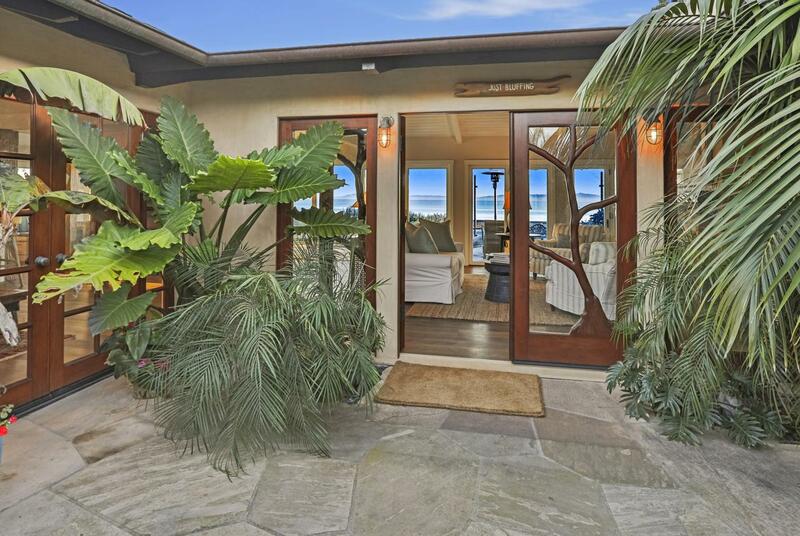 This home is in pristine condition with a fabulous location overlooking the Pacific Ocean on the MesaThe front private courtyard entry creates real privacy for this home. 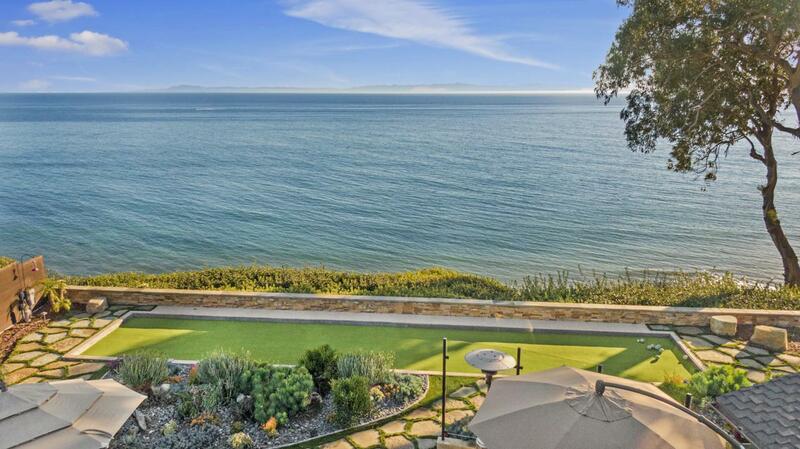 This home is in pristine like new condition and ready to enjoy its fabulous location overlooking the Pacific Ocean on the Mesa location.